VietNamNet Bridge – The government has approved a project to evaluate the coal reserves of the Red River basin, which will be implemented from 2012 to 2015. The project will be carried out in six northern provinces, covering over 2,700sq.km. The project aims to finding out the real reserves of the Red River coal basin, which is estimated to have up to 210 billion tons of coal, 20 folds more than the reserves of Quang Ninh, Vietnam’s current largest coal mining area. 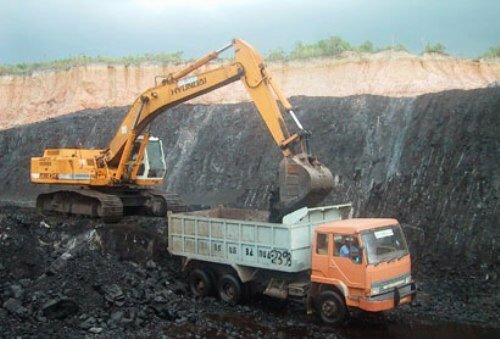 Up to 90 percent of the coal reserves is located in Thai Binh province. The project result will be the basis for further exploration. The project will cover over 2,765 sq.km in the six provinces of Thai Binh (1,521 sq.km), Hai Duong (435 sq.km), Hung Yen (398 sq.km), Nam Dinh (272 sq.km), Hai Phong (106 sq.km) and Ha Nam (33 sq.km). The Ministry of Natural Resources and Environment will develop the project. According to the State-owned Vietnam National Coal, Mineral Industries Group (Vinacomin), the colossal coal basin with reserves--estimated at 210 billion tons under the Red River Delta, will be harnessed to serve rising domestic demand. Vinacomin cited explorative and analytic data as saying that the coal basin lies thousands of meters underground and covers a vast area of 3,500 square kilometers, stretching from Hanoi to Thai Binh via Hung Yen, Hai Duong and other localities. Based on tectonic blocks and natural conditions, the entire Red River coal basin is divided into eight coal beds, with three in Hung Yen province, four in Thai Binh and one in Nam Dinh. These coal beds will be divided into coal mines whose reserves are enough for continuous production over 50-100 years. Each coal mine will have an annual output of 3 - 10 million tons. The reserve of the Red River basin is huge--but Vietnam, given its resources and technologies, is now capable of exploiting 65 billion tons covering on some 1,200 sq.km. This exploitable coal is mainly located in Thai Binh province (accounting for nearly 90 percent, followed by Hung Yen and Nam Dinh with 8.5 percent up 1.5 percent, respectively.